Fabulous family hotel. 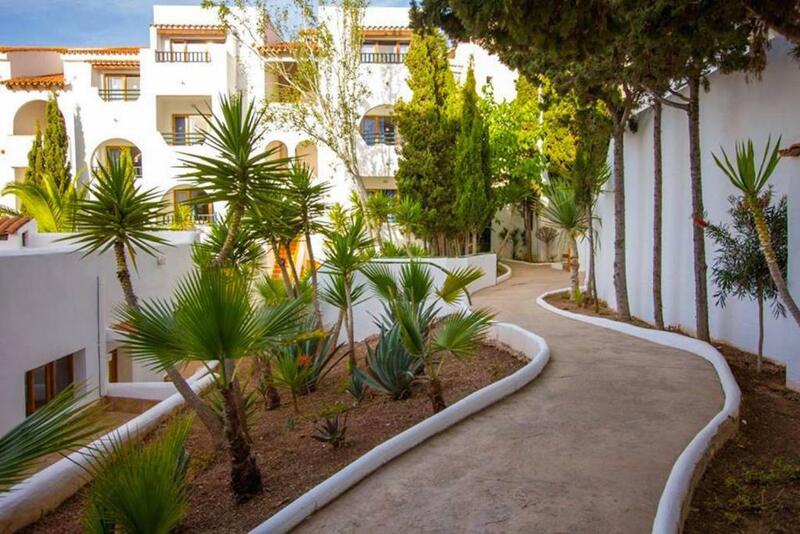 Easy to walk to restaurants and 3 minutes walk to the breathtaking beach of Santa Ponsa. Wouldn't hesitate to recommend this hotel to couples and families looking for a perfect getaway. Incredibly beautiful and clean apartments. First time we've stayed in an apartment type hotel and loved the living space with the small kitchen. Food at the bar was delicious. Would love to go back one day. Service was excellent. Everyone very friendly and helpful. Clean and tidy. Close to everything. Really enjoyed our stay. We did not get our holiday as sadly my father who was coming with us passed away before the holiday and this disgusting hotel refused to repay our family the money we had paid..awful that is how I rate this hotel. Just returned from our 3rd visit to Holiday Park and it just keeps getting better. The hotel is spotless and staff really do go the extra mile to ensure guests have a wonderful stay. Entertainment is very family orientated and Carl is fantastic at keeping the kids occupied. Food available from the pool bar is really tasty and great value for money. The location of the hotel could not be better, close enough to the beach (about 5 mins) but also far enough away from all the night life to ensure kids get a good nights sleep. In a nutshell, we wouldn't even consider staying anywhere else on our next visit to Santa Ponsa. Great family friendly entertainer and nice complex with pools. Liked the atmosphere at the hotel. The rooms we had were all great and very comfortable. Simple process and check in. All staff very friendly. Would be very happy to help with any requests. Karl from entertainment made tthe holiday more enjoyable-very funny and catered to both kids and adults. Beach only 5mins walk from Apartments so if not wishing to stay at poolside not far to go. Great location and incredible value for money, including the pool side food, which made for a refreshing change. Carl, the entertainments host. His energy and enthusiasm made the holiday fun. 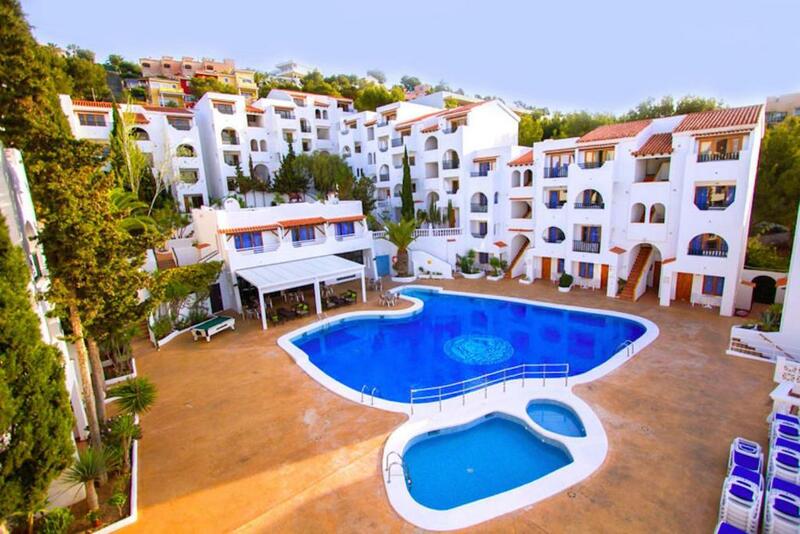 Lock in a great price for Holiday Park Santa Ponsa – rated 8.3 by recent guests! Holiday Park Santa Ponsa This rating is a reflection of how the property compares to the industry standard when it comes to price, facilities and services available. It's based on a self-evaluation by the property. Use this rating to help choose your stay! 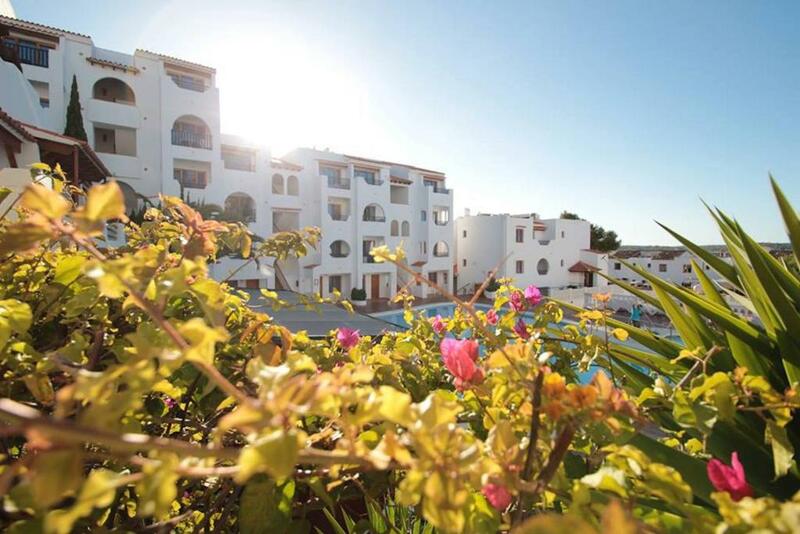 Located a 3-minute walk from Santa Ponsa Beach, this complex has an outdoor pool and sun terrace, a mini supermarket and 24-hour reception. Each functional apartment offers a private balcony. 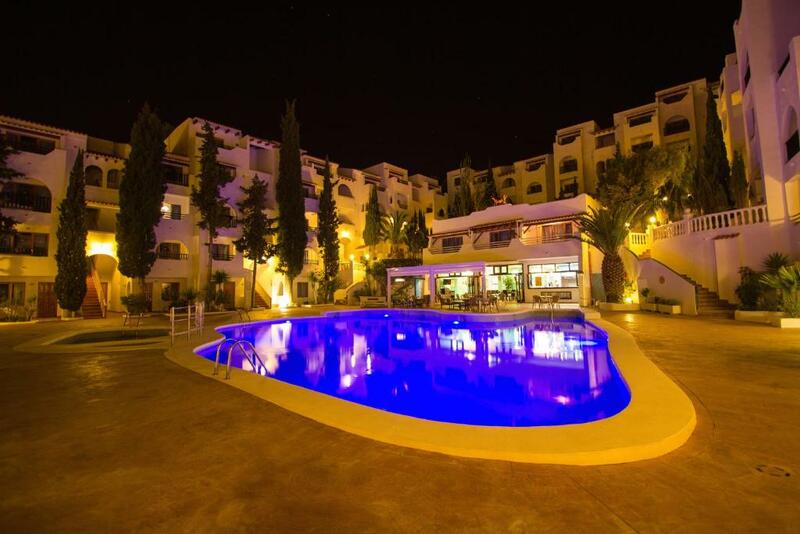 Holiday Park Santa Ponsa’s poolside bar serves light meals and offers weekly barbecues. Daytime entertainment is provided and in the evening there is live entertainment, including karaoke and quizzes. Each apartment has wooden furniture and bright décor. There is a lounge with a sofa bed, and a kitchenette with a kettle, fridge and hob. Air conditioning and safes can be rented. A luggage room and shower room are available for guests following check-out. 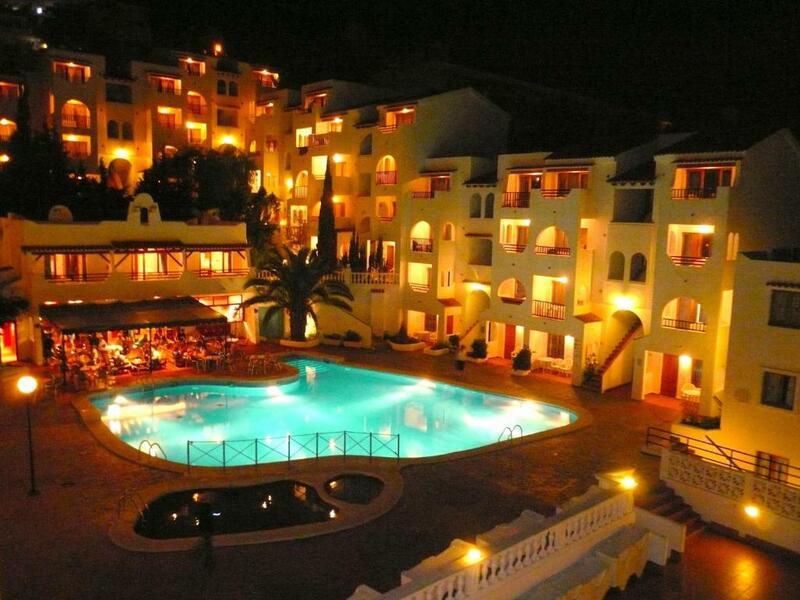 Holiday Park Santa Ponsa is 1.2 mi from Santa Ponsa Golf Course. Many bars and shops can be found within a 5-minute walk. Palma de Mallorca Airport is a 20-minute drive away. 뀐 Located in the top-rated area in Santa Ponsa, this property has an excellent location score of 8.6! 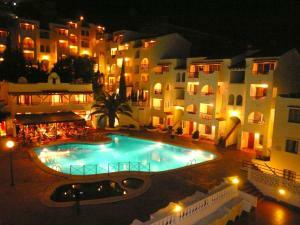 When would you like to stay at Holiday Park Santa Ponsa? We are just a short stroll away from sandy, award-winning beach of Santa Ponsa. We are close to all the shops, restaurants and entertainment the resort has to offer. We have 120 apartments. House Rules Holiday Park Santa Ponsa takes special requests – add in the next step! Holiday Park Santa Ponsa accepts these cards and reserves the right to temporarily hold an amount prior to arrival. Please note that air conditioning and safes are available for an additional charge, payable at the property. Please note that reservations for bachelor/bachelorette parties are not allowed. Cheaper Wi-Fi packages are available if booked for more than 24 hours. Coin-operated internet terminals are also available. Please inform Holiday Park Santa Ponsa of your expected arrival time in advance. You can use the Special Requests box when booking, or contact the property directly using the contact details in your confirmation. The lower poolside rooms can be noisy at night and tough to get an early night, if you're not participating in the entertainment. The Holiday Park has a very busy pool area, (possibly a few too many inflatables) and there is a huge demand for the sunbeds, so you need to queue at 9am to ensure you secure one. Air con (5 euros), safety deposit boxes and Wi-Fi (3 euro) all cost extra. Be aware, if you hire a car, there is no parking at the hotel. 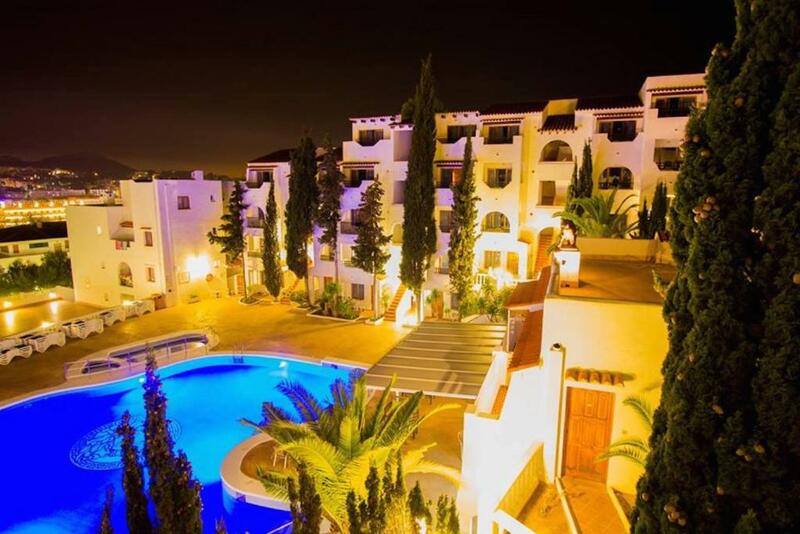 This is a nice, apartment complex about 5 mins from Santa Ponsa beach. It is probably 200m from the start of the bigger and noisier bars which means they are not affected by much noise from them late at night. The rooms in the Holiday Park are a decent size and well appointed with the essentials you need for a short holiday, including a 2 ring hob, fridge, toaster and kettle. The pool is a decent size and says open until 20:00 hrs. The prices at the pool bar are very good and the food is tasty. The beach in Santa Ponsa is also really fantastic. The sun beds are €13.50 for the day and the peddle boats are €15 for an hour. Carl the entertainer is certainly one of the stars of the hotel; not only does he organise the daily and nightly entertainment but also helps set up the tables and chairs in the evening. Valerio on reception is super friendly and extremely helpful. The cleaning and maintenance team work tirelessly keeping the complex clean and also help visitors with their bags up the numerous stairs. People putting towels on sun beds and not using them. Not fair for other people. The only possible negative I can think of is that wifi access could be expensive if you are a family with several devices however, with free roaming now available on most uk networks this really wasn't a problem as we just topped up a little extra before we left home. Everything was perfect but if I could complain about something it would be that there is not enough lighting by the pool area after midnight. The pool closes at 8pm. No Tea/Coffee etc on arrival in the apartment which if arriving late at night meant having to go straight out to shops to purchase. Also lots of stairs up to Apartments which if unable to walk far would not be able to stay here. Variety of activities throughout the day entertaining both kids and adults. Friendly, welcoming and helpful staff. Nothing is too much trouble. Great location close to all amenities. Our children loved Afro Karl, he was a great host, patient, good sense of humour and full of energy. Cleaner only came every other day but there was only two of us so the apartment was barely in need of much of a clean. Check in time was at 2.30 pm. but it was good that they had a luggage room and a nice complimentary shower room.